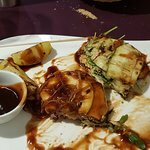 My husband and I loved this restaurant so much we ate there 2 nights in a row. The outdoor patio is a great place to dine. The view of the sky at sunset was beautiful. Great service, friendly staff. 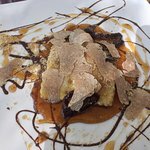 Buzet has become the truffle Mecca, but the truth is that you can find delicious truffle dishes at several places in Istria. I feel that Vela Vrata has capitalized on this fame and the food does not justify the pricing. I had a truffle plate appetizer, and was told it was sausages with truffles and cheese. 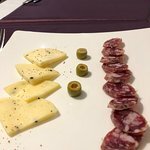 I was served a plate of salami slices, truffle cheese (not even great truffles cheese) and a single olive sliced into three sections. ?! This is not a truffle plate. 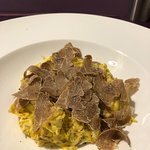 Next I ordered the truffle scrambled eggs. They were good, but I later realized this very modest plate was $30. No exaggeration. 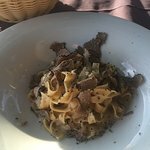 There were freshly shaved truffles on top. But surely not $20 worth! See pics and decide for yourself. I was really annoyed. Monday, wet to the skin on returning from a trip around Buzet, we searched for a place to warm up and eat something of local food. Unfortunately trattoria "Most" that we went to visit was closed despite the information to work on Mondays. 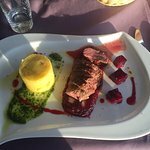 With Trip Advisor help we decided to go to the restaurant Vela Vrata located in old town of Buzet. And we did not regret it! Kind waiter, good wine selection and very good food. 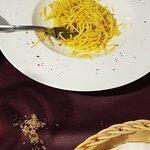 Pumpkin soup, Alio Olio Peperoncino pasta and istrian ox burger was very good. The prices are normal for the offered quality. We did not like decorating but it is a subjective feeling which does not affect the main - good service and food. 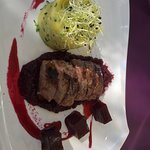 Very nice place in old town of Buzet, excellent food, very professional staff, reasonable prices. Need to visit. Located on top of the town. Nice view but terase practically on the road. Pretentious menu. The food is good but could be better. I would eat here again. 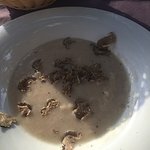 Been to Restaurant Vela Vrata? Share your experiences!